As I type this, my son is in the other room playing Breath Of The Wild under the replica Master Sword and Hylian Shield I mounted on his wall for him. Needless to say, we’re fans. I’ve played nearly every Legend Of Zelda game made, except the one that inspired Sylon-tw to build this version, Ocarina Of Time. 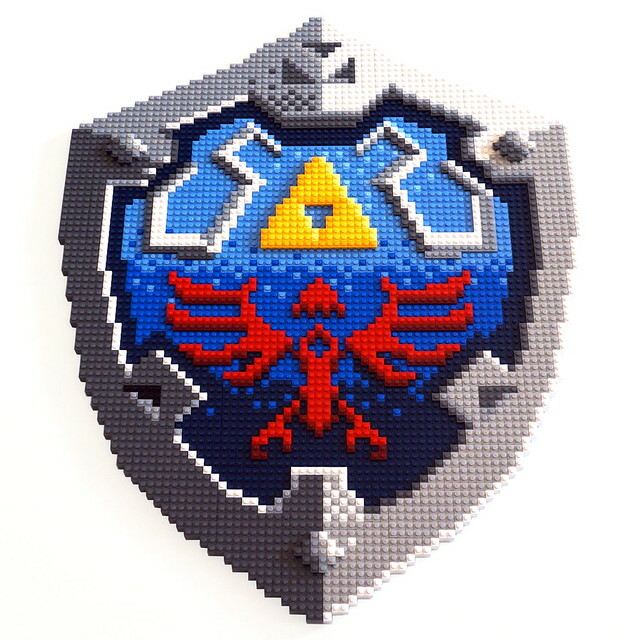 The Legend Of Zelda: A Link To The Past is still my favourite game to date and I would love to have this mosaic on my wall the way it’s creator plans to display it. I have to admit that I’m quite jealous of the gradient effect that’s been pulled off here, I would be too lazy to source the different plates and probably would’ve just made the whole thing a standard blue and grey. The layered areas that give the mosaic a feel of shape and depth are also great.